Axial Flow Pump article provides guidance and review about different types, qualities, durabilities, and prices. The pump is a pump in which fluid flows axially to the rotation of the propeller. In Axial flow, the fluid flows parallel to the axis of rotation, as in a turbine. 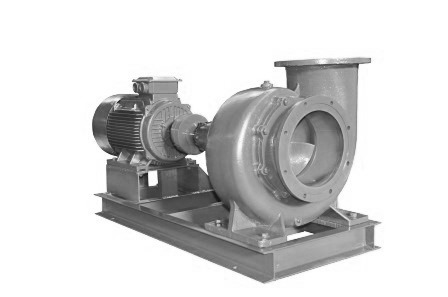 Axial flow pump contains a propeller or centrifugal impeller in the casing. An impeller is the rotating component of a centrifugal pump that accelerates the fluid inside the pump. The propeller is powered by a sealed motor or an external electric power, gasoline engine or other power sources. The fluids gain velocity, and it is transformed into pressure as the fluid leaves the pump. Fluid particles do not change their radial locations while flowing since the radius at the suction and the discharge of the pump are unchanged or of very small variation. An axial flow pump consists a propeller-type impeller running in the casing. The propeller is powered by a motor. When the fluid flows over the blades of the impeller, the pressure is developed. The fluid flows in the parallel direction to the shaft of the impeller. Therefore, the fluid never changes its axial direction at the inlet and discharge of the impeller. In axial pumps, the impeller pushes the liquid in the direction parallel to the pump shaft. Axial flow pumps operate like the propeller in boats and can also be called as propeller pumps. Axial flow pumps apply the centrifugal force to the fluids moving across the impeller. When the centrifugal force becomes greater than the gravitational force holding the fluid, the fluid rises and flows outside the pipe. Here the conversion of energy is done using the angular momentum principles. The axial flow or propeller pump is the converse of the axial flow turbine and is look alike in appearance. When selecting an axial flow pump, we have to consider the following key specifications as follows. Flow rate - the rate at which the fluid flows through the pump, measured in gallons per minute (GPM). The flow rate and the rated capacity of pumps must match for smoother operation. Pressure – resistance force per unit area, the pump must handle, described in bar or psi. Head - height up to which the fluid is lifted above the suction inlet. It is expressed in terms of length as meter or feet. Net positive suction head (NPSH) – the difference between the pump's inlet pressure head and the vapor pressure head. NPSH is calculated to avoid the cavitation problems in pumps. Efficiency - the ratio between the input power and the output power. It just describes us the amount of input power utilized for pumping action. Axial flow pumps are found mainly in sewage treatment plants and agricultural irrigation. They are also used in fisheries flood control operation, chemical industries, power plants, etc. One of the simplest application used in our day to day life is the hand pump through which we get the water supply from the underground. Here our human effort is the power supply which drives the water supply from the underground. In agriculture & fisheries, these pumps are used to pump water for irrigation purposes and drainage of the unwanted water. They can give a large flow of water from nearby waterway to crops. In East Asia, smaller farmers use this kind of pumps for crop irrigation, drainage, and fisheries. In sewage treatment plant, they are used for transfer of fluids across the different conveyors and reservoirs. The direction of the flow is easily reversed in these types of pumps. Axial flow pumps circulate large amounts of liquid in evaporators and crystallizers in chemical industries. They are also used in flood disaster management system because they can pump out a large amount of the water during crises time. One such example was they are used in flood control system in New Orleans, Louisiana where the stormwater is stored in a canal and later pumped to the nearby lake. Thereby saving thousands of lives and helping in water storage also. Good for the high flow rate, low-pressure applications. Lower aerodynamic losses and higher stage efficiencies due to short blade lengths. Smaller in dimensions so easy to handle & use. Do not handle highly viscous fluids well. Some of the leading axial pump manufacturers are Emile egger pumps, Jingua Suhua pump ltd., C.R.I. pumps, KNOLL pumps, Clyde Union, etc. These pumps are available from small flow rates of 0.5 cubic m/h to as large as controlling floods during the natural disaster. They have a wide range of flow rates. This kind of pumps are available at a price range of around 100$ to 500$ for domestic purposes and around 5000$-20000$ for large-scale agricultural irrigation & sewage purposes. Industries usually order their specific pumps as per their requirements in their applications.